Entries from Digital Intelligence tagged with "paypal"
PayPal shares have plunged after eBay split with the payment provider in favour of Adyen, ending a 15-year relationship. PayPal has added Siri support, letting Apple users send and request money using voice commands on iOS. PayPal has launched a new peer-to-peer payments service called PayPal.Me targeted at the instant messaging generation. PayPal has completed its separation from eBay, making its stock debut with a higher market value than its parent company. eBay and PayPal are today splitting their operations into two individual companies, having traded together since eBay bought PayPal in 2002. Facebook is expanding into mobile payments by letting users exchange money through its Messenger app. 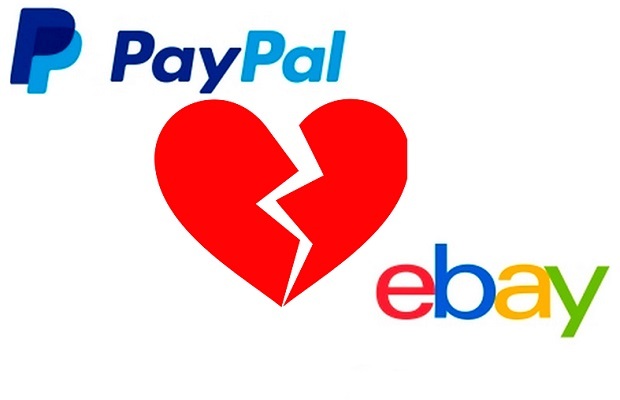 eBay is planning to split off its payments system PayPal into a separate company next year, amid claims they are holding each other back. Paypal has taken out full page print ads in major US titles to critisie Apple’s new mobile payment system, claiming it is no safer than selfies. Paypal will soon start taking bitcoin through its Braintree subsidiary, as virtual currency continues to gain mainstream acceptance. With headlines last week focussing on Amazon's unexpectedly high quarterly loses, it's easy to miss just how how far and wide the company is continuing to expand and experiment across the digital landscape. Ebay has asked its users to alter their passwords following a cyberattack that compromised the online marketplace’s database. PayPal has redesigned its online checkout process to let shoppers complete their payment on merchants’ websites, rather than go to a separate PayPal site, as the eBay owned firm ramps up competition with rival Amazon. An estimated 20 million UK shoppers will be using their mobile phones to pay for goods and services by the end of the decade, with the value of their purchases tripling to as much as £14.2 billion by 2018, according to new research. Amazon has launched a new ‘login and pay’ button, letting external websites allow their customers to pay via their Amazon accounts, as the firm steps up its battle with eBay and its PayPal payments system. Facebook is testing a new online payments service aimed at making it easier for users to make purchases on their mobile devices. For a moment this week, a US man became the world's richest person - with a wealth one thousand times greater than the GDP of the whole planet, after PayPal mistakenly credited him with $92 quadrillion (£60 quadrillion). PayPal is to launch a device that lets small traders, from Ice Cream sellers to taxi firms, accept payments via their smartphones. PayPal to axe 3% of workforce- 400 jobs to go? Paypal is planning to lay off some 300 and 400 employees within the next few weeks, as the onlne payments giant looks to streamline operations. The eBay-owned firm, which currently employs 13,000 staff worldwide, as part of a new focus on product development, technology and marketing. The Government is set to announce details of its controversial national identity plans, letting people use their mobile phones and social media profiles as official identification documents for accessing public services, according to a news report. Initially floated by the government last year, under the scheme people wishing to apply for services ranging from tax credits to fishing licences and passports will be asked to choose from a list of familiar online log-ins, including those they already use on social media sites, banks, and large retailers such as supermarkets, to prove their identity. PayPal is testing an app-based checkout system in McDonald’s restaurants in France, as the online payments system looks to secure pole position is the increasingly important mobile payments sector. The trial is being conducted in 30 McDonald’s outlets in France, using a different system than PayPal’s two existing in-store payment systems. The French trial features a smartphone app or a website from which customers can order and pay for the food with their PayPal account.